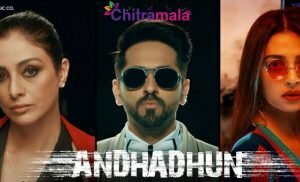 Chitramala – total filmy entertainment guaranteed! If you are someone who breathes, eats and sleeps movies, you are at the right place! Chitramala is India’s leading website featuring the latest and exciting news from the world of Indian films. Whether its Tollywood, Bollywood, Kollywood or Mollywood – we have it all covered. Know what your favorite celebrities are up to, get the latest news on new movie releases or check out on filmy gossip. Never look beyond us for the best audio songs, videos, accurate movie reviews and movie exclusives. Whether its Tollywood, Bollywood, Kollywood or Mollywood – we have it all covered. Know what your favorite celebrities are up to, get the latest news on new movie releases or check out on filmy gossip. Never look beyond us for the best audio songs, videos, accurate movie reviews and movie exclusives. What makes us special? It’s the fact that our news is reliable and the fastest. Our Film News, Reviews, Gallery and Hot updates come straight out of sources close to the Industry. 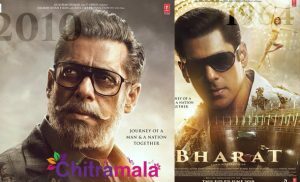 For more than a decade, Chitramala is the first to bring you all the latest updates on the happenings in the Indian film industry. What makes us special? It’s the fact that our news is reliable and the fastest. Our Film News, Reviews, Gallery and Hot updates come straight out of sources close to the Industry. For more than a decade, Chitramala is the first to bring you all the latest updates on the happenings in the Indian film industry. Entertainment on the go – yeah, we promise you that.. Our Chitramala mobile app enables live access to entertainment, for the film lovers – anyplace and anytime!! Follow us on Facebook, Google+ and Twitter and check out our latest high-quality videos on Youtube. All the latest film news and entertainment updates guaranteed to reach you first – right here at Chitramala. Don’t miss it! Entertainment on the go – yeah, we promise you that.. Our Chitramala mobile app enables live access to entertainment, for the film lovers – anyplace and anytime!! Follow us on Facebook, Google+ and Twitter and check out our latest high-quality videos on Youtube. All the latest film news and entertainment updates guaranteed to reach you first – right here at Chitramala. Don’t miss it!